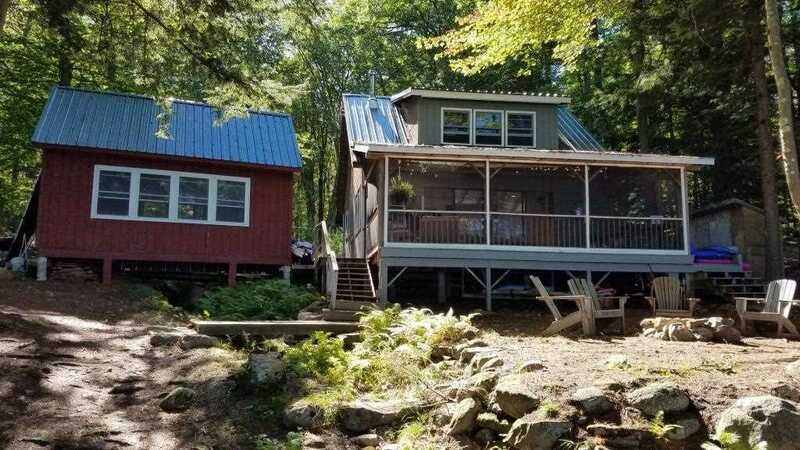 Make your island memories in this wonderful Rattlesnake Island cabin with two bedrooms, a bonus room, two baths, a spacious open floor plan with upgrades including new flooring, a dishwasher, washer and dryer. You will be drawn to relaxing on the large, spacious screen porch or move outside and sit around the fire pit and take in the fantastic long range views of the lake and mountains. The break water provides excellent protection and the dock provides easy lakeside access for swimming and water sports. There is a wood stove to take the chill out, a low maintenance metal roof, and a state approved septic system. This cottage provides a warm and cozy feeling that you, your family and your guests are looking for in your island adventures.